I want to introduce you today to a pregnancy resource ministry called Embrace Grace. I hadn't heard of this ministry prior to being contacted to review the ministries Love in a Box pro-love initiative (more on that to follow). I'm impressed by what I see to be the heart of this ministry. Learning about this ministry on their 'about us' page my heart soared when I read that "the primary goal of Embrace Grace is to empower churches across the nation to be a safe and non-judging place for the girls to run to when they find out they are pregnant, instead of the last place they are welcomed because of shame and guilt." (emphasis mine). This is how we have been called by God to respond to these girls, their boyfriends, and their families. Love in a Box is a pro-love initiative launched to help save babies and help moms get plugged into local churches for spiritual, emotional, and physical support through an Embrace Grace group. 1. Start an Embrace Grace at your local church so young women with unplanned pregnancies have a support group. Information on how to do so can be found here. 2. Partner with the national organization through prayer and support at Embrace Grace. 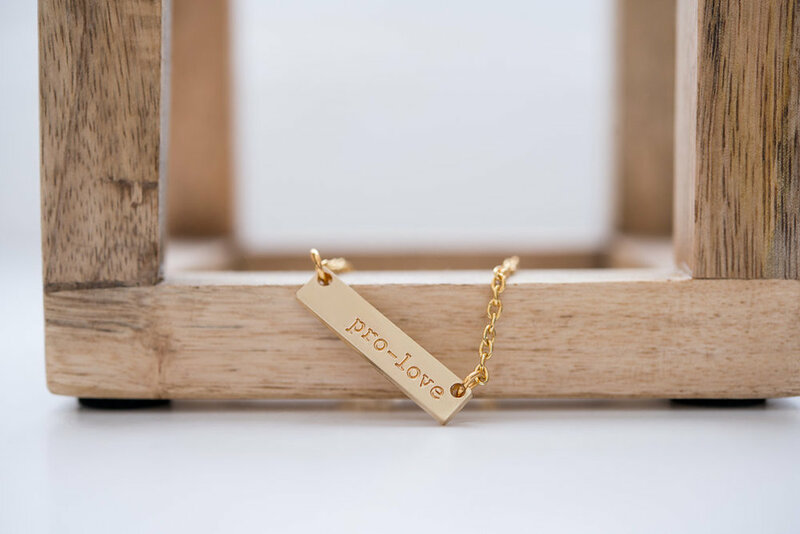 5 people will win a "You Are Strong, You Are Brave, You Are Loved" journal and a "Pro-Love" necklace from Embrace Grace a Pro-Love cause! Just click here to enter the giveaway. There may be someone in your life now or that your not yet aware of that this gift would greatly encourage. Maybe you! Is not this the fast that I choose: to loose the bonds of wickedness, to undo the straps of the yoke, to let the oppressed go free, and to break every yoke? Then you shall call, and the Lord will answer; you shall cry, and he will say, ‘Here I am.’ If you take away the yoke from your midst, the pointing of the finger, and speaking wickedness, if you pour yourself out for the hungry and satisfy the desire of the afflicted, then shall your light rise in the darkness and your gloom be as the noonday.